Nature's Veda Whole Kernel Virgin Coconut Oil is made from fresh pressed Coconut milk with the brown inner skin/membrane (seed coat) left on. This means it has a higher level of antioxidants, fatty acids, minerals and vitamins. 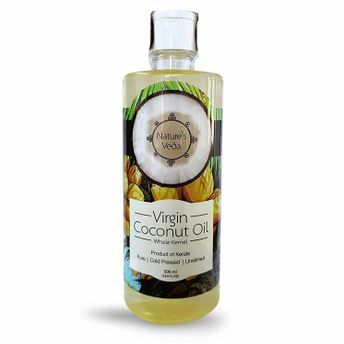 This pure cold pressed Virgin Coconut Oil is a real multi tasker. You can use it for anything from cooking to oil pulling, to baking, to skincare.